At the Aesthetic Plastic Surgery Center, some of the most popular procedures among our San Diego patients are skin care treatments. GentleLASE® laser hair removal and laser facial rejuvenation, along with dermabrasion and chemical peels, are very popular. Many of our San Diego patients seek a skin care solution to mitigate the cosmetic effects of a blemish or a scar. Whether performed on their own or in conjunction with a face, breast, body contouring, or dermal filler procedure, Dr. Wheeler's skin care techniques can help give you a refreshed, rejuvenated, and more youthful appearance. In addition to the treatments listed above, Dr. Wheeler performs deep surgical Dermabrasion in his surgical center. This procedure causes deep resurfacing of very intense facial wrinkles and improves deeper acne scars. This technique is a traditional technique, which is an alternative to CO2 laser, giving the greatest degree of improvement possible. It requires approximately two weeks of healing time before cover-up make-up can be applied. Pinkness of the skin will fade over approximately two to three months. As for the CO2 laser, this gives the most affective improvement of deep facial wrinkles and acne scars, but requires a longer healing time then the procedure noted above. A chemical peel is a procedure that uses a chemical solution to peel away wrinkled, blemished, unevenly pigmented, or sun damaged facial skin. We offer a variety of peels as indicated by your skin texture and pigmentation level. The procedure is non-invasive and poses little risk. Deeper peels are best controlled using laser technology. The result is softer, smoother, and more youthful looking skin. Scarring can leave an unpleasant reminder of an injury long after the physical trauma has healed, particularly if the injury occurred to the face. Even if a scar is small, it can affect confidence and make a person feel self-conscious. Make-up can cover some scars but is only a temporary solution to a permanent condition. In truth, no topical skin care treatment can remove scars. While no scar can be erased completely, with advanced techniques Dr. Wheeler can make a scar less evident, often to the point that it is nearly undetectable. How Dr. Wheeler performs a scar revision procedure depends on the type, location, and size of the scar. Keloid scars, which look almost like red or dark growths on the scar site, can be injected with steroids. If steroids prove ineffective, Dr. Wheeler can remove them with surgery. Dr. Wheeler can also use surgery to treat hypertrophic scars, which are the red, raised tissue often resulting from cutting injuries. He can remove much of the scar tissue and reposition the incision so that it is less conspicuous. Burn scars or those resulting from a large-area skin loss can be treated with skin grafts or Z-plasty, a surgical technique for obscuring and repositioning a scar. 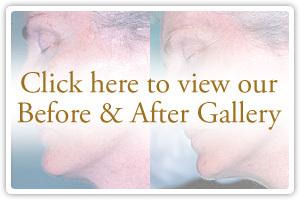 With scar revision surgery, Dr. Wheeler can greatly diminish the cosmetic effect of most scars. For a discrete, private consultation with Dr. Wheeler to discuss scar revision or any of our skin care treatments, contact our office today. Basal Cell Carcinoma: Skin cancer's most common form, basal cell carcinoma represents approximately 80 percent of diagnosed cases. It manifests in several forms: a sore that won't heal, a reddish patch, a bump that can be confused with a mole, or an area that resembles a scar. Squamous Cell Carcinoma: This skin cancer occurs in about 16 percent of cases. Though squamous cell carcinoma can attack skin in any part of the body, it most commonly occurs in areas exposed to ultraviolet rays. Signs of the cancer look much like those of basal cell carcinoma. Melanoma: Although it is the most dangerous form of skin cancer, occurring in about 4 percent of cases, melanoma is completely curable if it is caught in early stages. Most melanomas appear as black or brown bumps or patches, but can be any color. If you exhibit any of the signs of skin cancer, Dr. Wheeler urges you to seek treatment immediately, even if it is not with him. Putting off an examination and treatment can lead to serious health consequences and even death. If you are diagnosed with skin cancer, you should know that any skin cancer surgery invariably results in a scar. With his exceptional surgical skills, Dr. Wheeler can remove the cancerous cells and minimize and position the resulting scar for the most attractive result possible. We encourage you to contact our La Mesa office today for an examination to ensure that skin cancer won't impact your life.